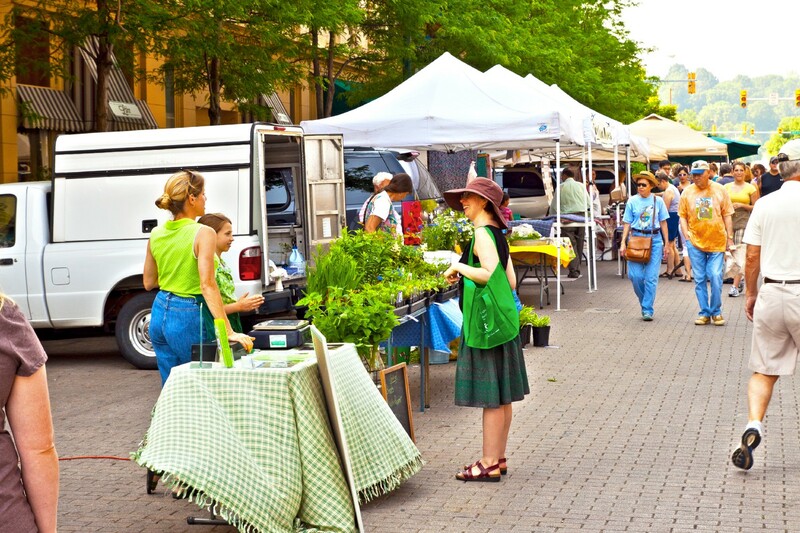 We farmers’ market vendors are a special breed of small business owners. We wake up in the early morning hours when most people still consider it night (even though we’ve only gone to bed a few hours earlier) to begin our day. Some vendors do not even sleep as they’re too busy baking throughout the night, ensuring they have the freshest goods for the morning. Still, there are other vendors that have driven through the night to attend the market from several hours away. By the time the general public has made it to the grounds, farmers’ market vendors have been up and at ’em for several hours… but we love it. We love the smell of a farmers’ market day. The smell of morning breakfast cooking in the streets. The sweet smell of baked goods as they’re taken out of containers and set on display. We love the excitement of seeing our ‘market friends’ or meeting our new vendor neighbor for the day. We’re excited to debut our new products that we’ve toiled away at for the past few weeks and can’t wait for our customers’ reactions. We’re excited for the potential of each market day, that it will be successful for our efforts and that we will gain a new tribe of customers that fall in love with our products. YOU (the customer) inspire us with your kind words, thrilled reactions when we have “exactly what you’ve been searching for”, and the fact that you want to pay us for something we’ve made. We couldn’t be more happy to have pleased you with our products! However, once in a while there are a few patrons that make us… let’s say, a little less than thrilled. Yes, likely you could. Farmers’ market vendors are not highly specialized inventors that have come up with the most unusual new gadget that you’ve never seen. We are small business owners that decided to take a product we made and turn it into a business. Likely, our products are just different versions of products you already use. You CAN grow your own vegetables. You CAN sew your own clothes. You CAN make your own furniture, home decor, or jewelry. If our products do not suit you because it is something you can make yourself, that’s OK. You are likely not our customer. Our products are for our customers that can’t (or don’t want to) make it themselves. This one goes along with #1 but in a different way. Thank you for liking our product so much that you want to know how it is made, but…. we prefer to not tell you our secret sauce. Because of the fact that you “could totally make this” if you wanted to, we prefer to not give you all the details about what it took to put it together. Instead, we’ll give you a coy answer like “very carefully” or “it took a lot of work”, and we’ll let you spend the countless hours watching YouTube tutorials, investing in classes, and toiling away to make it perfect, just like we did. Ugh. This comment, when made with a voice full of disgust, is so hard for a market vendor to hear. What is a thoughtless comment from a patron is highly thought out subject for the vendor. We have put a lot of thought into our prices. We have factored in the raw materials costs, along with our time and labor. We have included additional costs like overhead expenses to run our shop, packaging, website, booth/stall fees, gas fees, etc. We then try and add in a bit of profit to make it all worthwhile on our end, but we still consider what others are charging for a similar product and keep it within an appropriate range. We’ll even offer promotions or bulk discounts (when possible) because we know what it feels like to get a deal. If our prices still do not work for your budget, that is ok with us. We know we cannot adjust our prices to please everyone, and we enjoy selling to those that appreciate our worth. Seasoned farmers’ market vendors have learned that these comments are just a part of putting yourself, and your business, out there. Out in front of everyone to see, to touch, to feel, and (sometimes) to judge. It does not discourage us. We will be out there again at the next market, up and at ’em just as early because we are showing up for our customers that love our products and support our businesses. Thank you to all of you who shop and support small local businesses and farmers’ market vendors. We know you have options, and we truly appreciate your business!